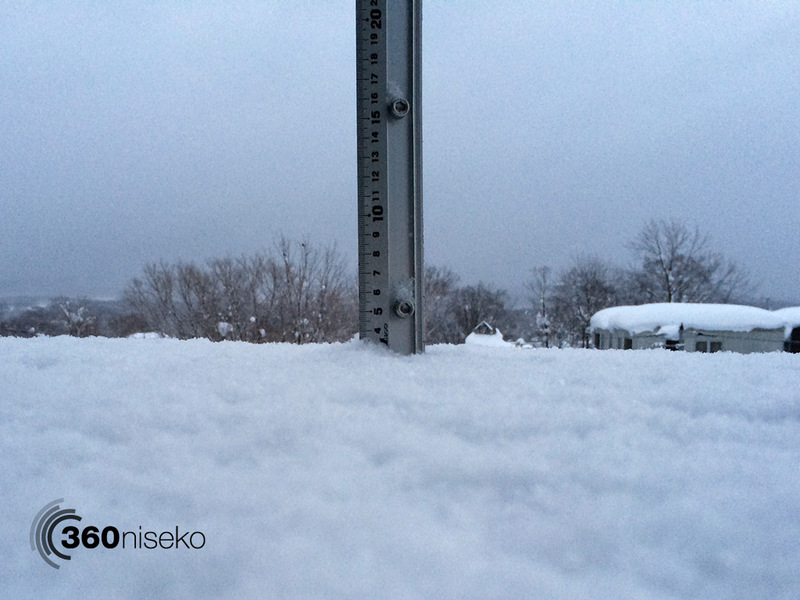 *3cm of fresh snow has fallen in the last 24hrs in Hirafu Village. At 7:00 today the temperature was -7°C. Overcast conditions this morning with the snow has coming down in just the last 2 hours.The groomers will be fantastic this morning with light layer of snow on the freshly groomed runs. Please be careful when venturing off the runs as we will have “dust on crust” conditions in places. What may look like a nice line may actually have a nasty layer of ice just below the surface. More snowfall is on the forecast for later today and throughout next week so it shouldn’t be long before fresh tracks are again up for grabs all over the resort. On a positive note we have just passed the 8 meter mark for accumulative snowfall for the 2013-2014 season! !